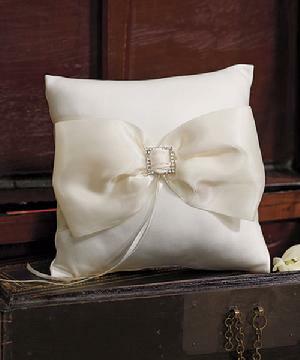 5070 - This exquisite ivory matte satin Ring Pillow features an elegant satin bow and a rhinestone buckle for just the right amount of sparkle. Will make a classic complement to any number of wedding themes. 20cm x 20cm.